Idiotic elliptical bike on sale for $1500! I understand why people like bicycles. I understand why people use elliptical machines in the gym. 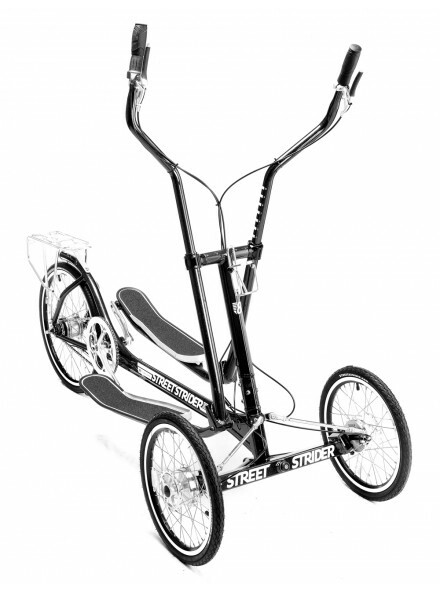 I do not understand why anybody would pay $1500 for a “street strider”. The normal price is $2500 and for $400 additional, they’ll sell you a kit that enables you to use it indoors. If you’re tempted to do so, consider spending the money on analysis instead. There’s a sale at the moment, so you can get the “strider” for $1500 and the embarrassing conversion kit for $300. This entry was posted in Not quite a bicycle on February 11, 2015 by stern. 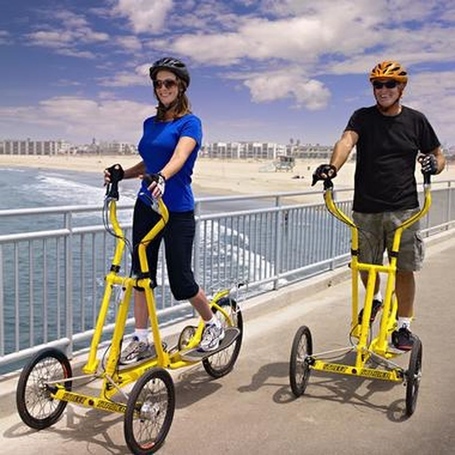 This Wheeled Thing could be used to travel to the gym as a warm up for your elliptical! You know a good warm up is the key to a good workout. On the positive side, they ignored their main selling point. This is the ideal “bike” for people lacking a rear end. The perfect bike for the buttless crowd.